Steven Spielberg’s name has long been synonymous with the Great Hollywood Blockbuster. When we hear the name Spielberg, we imagine runaway boulders, we feel the ground quiver under the weight of reptilian feet, we choke on seawater. Hearing that Spielberg was tackling a historical docudrama about a newspaper was a little surprising. But rest assured, The Post is not overwrought history reeled out to humour a director’s quirk. The Post documents a defining moment for the Washington Post newspaper, with deep resonance in the current political climate. To know exactly how The Disaster Artist approaches its subject, know this. The film opens with a slew of Hollywood celebrities earnestly describing their love of The Room, the titular disaster, and closes with praise for the phenomenon that the film and its artist, Tommy Wiseau have become. Captions and real footage show Wiseau in attendance at some of the many midnight screenings that have transformed his terrible film from being an LA inside joke to the central story of a genuine Oscar contender, a feel-good wrap-up of an unlikely success story. It’s hard not to see a bit of self-back-patting at the heart of this endeavour. 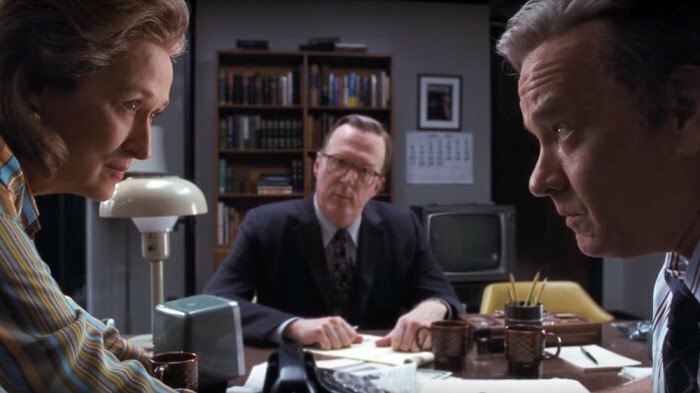 King of the so-bad-its-good films, the appeal of The Room is that it’s a genuine attempt at creating art and exploring human emotions from a man who seemingly understands neither art nor human emotions, nor human anything for that matter. A film that is just off in every way imaginable, provoking equal parts hilarity, revulsion and perverse curiosity. The appeal of The Disaster Artist is The Room. James Franco’s love of the cult film comes through and is sure to get laughs from fellow fans, inspiring a few more along the way, as he takes on the Tommy persona impressively and recreates the best-worst scenes. However, there are depths to this bottom-of-the-barrel that he is not so interested in delving into, preferring a level of insight that never reaches much higher than sketch comedy.